Aziz Ansari is back. 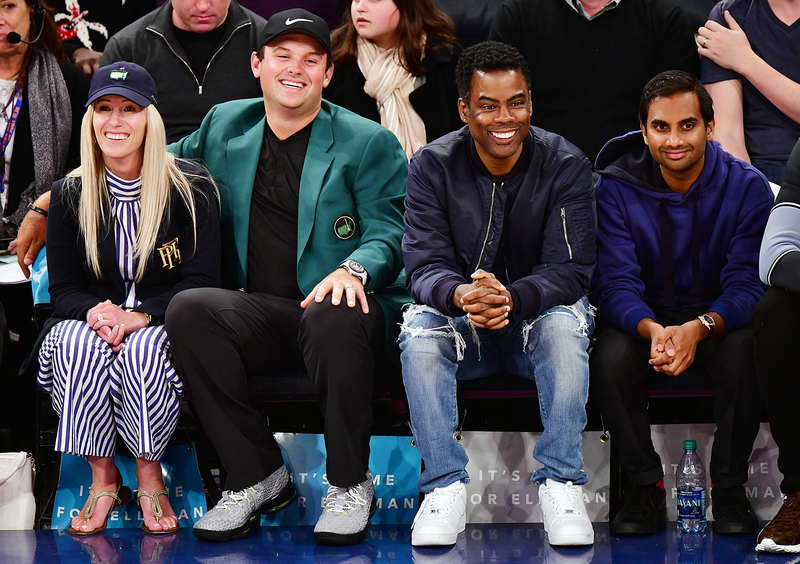 The comedian stepped out in public for the first time since he was accused of sexual harassment, joining Chris Rock and rapper 2 Chainz at a New York Knicks game at Madison Square Garden on Monday, April 9. In January, a woman accused the Master of None star of sexual harassment, describing a date with him as “the worst night of my life.” Since then, the star, 35, has been keeping a low profile. A week after the allegations, he skipped the 2018 Screen Actors’ Guild Awards, where he was nominated for Outstanding Performance by a Male Actor in a Comedy Series. When his name was announced as a nominee, the audience did not applaud. A photographer under the pseudonym Grace told Babe.net that she and the Parks and Recreation alum had met at an Emmys afterparty in September 2017 and later went on a date. In the story published on January 13, Grace then detailed the evening, claiming that when she went back to his apartment, he was sexually coercive even though she was “physically giving off clues” that she was not interested in continuing in sexual activity.